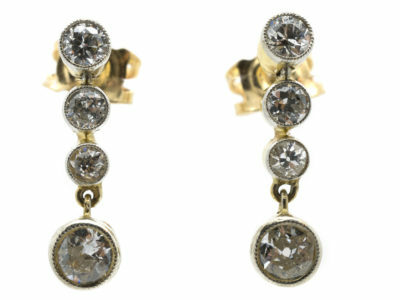 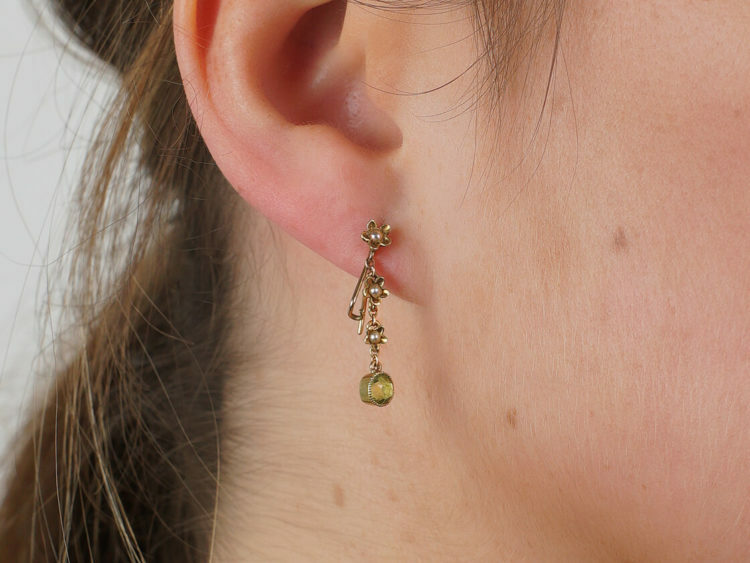 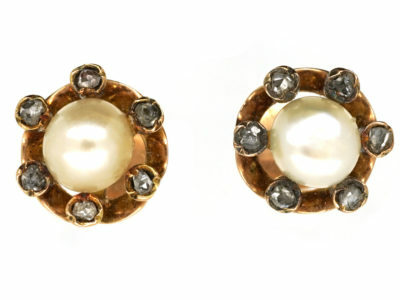 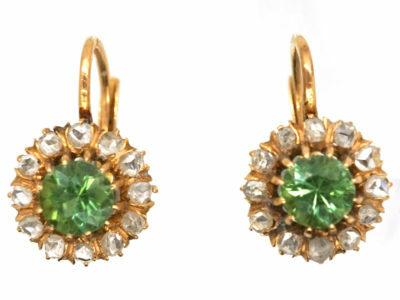 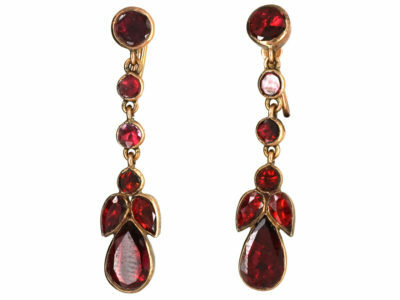 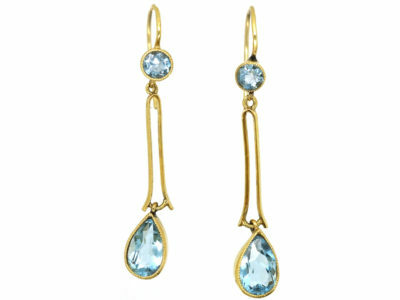 An original pair of 15ct gold drop earrings that were made circa 1900-1910. 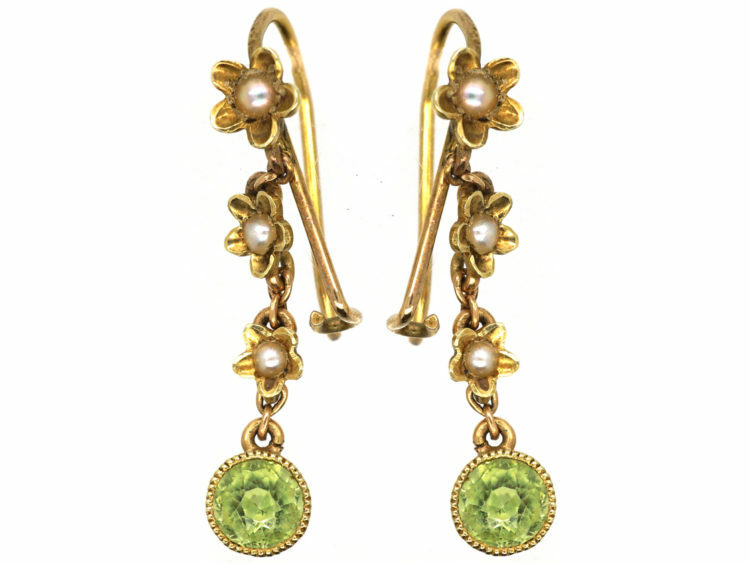 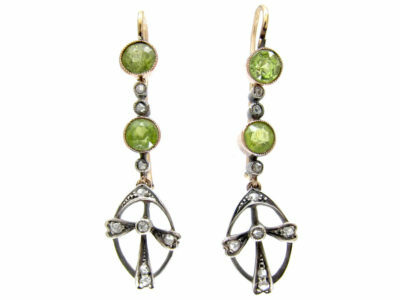 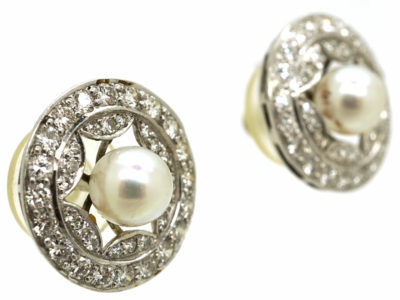 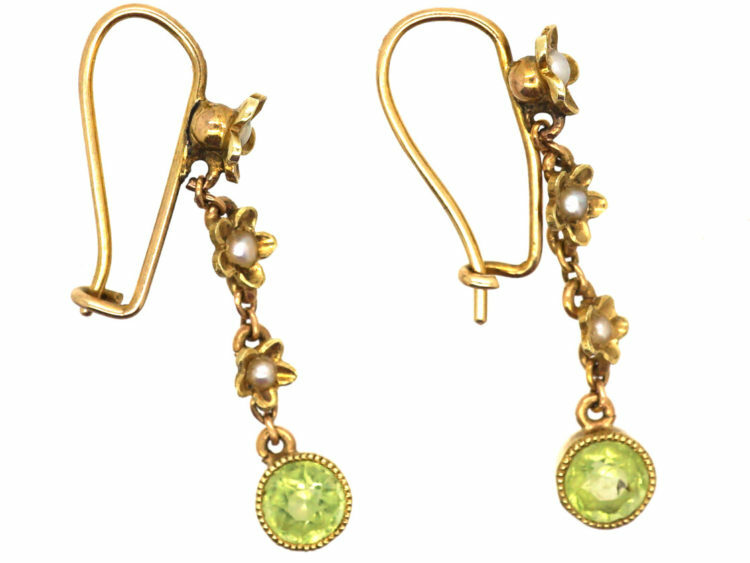 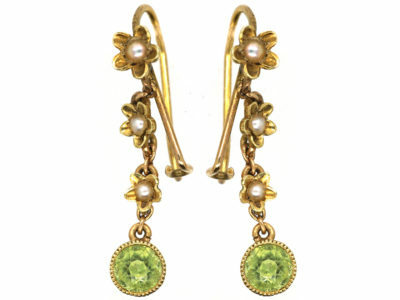 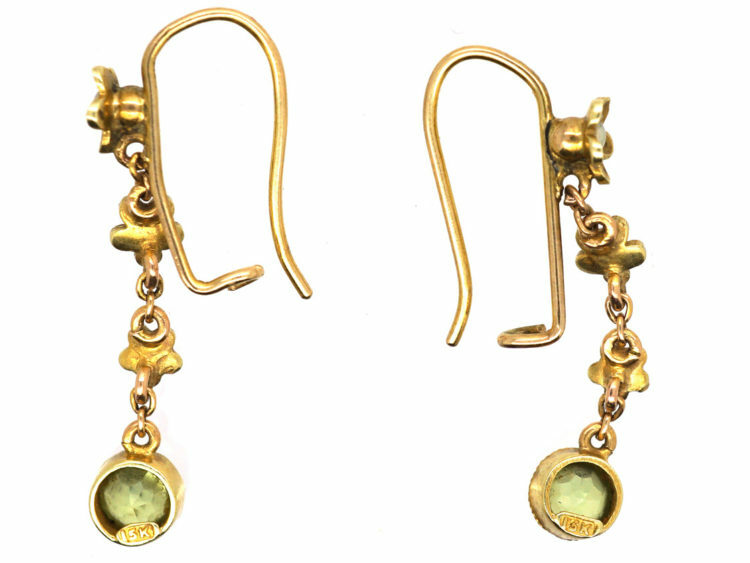 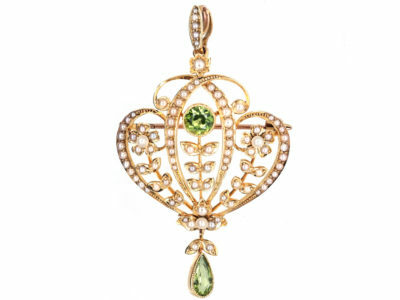 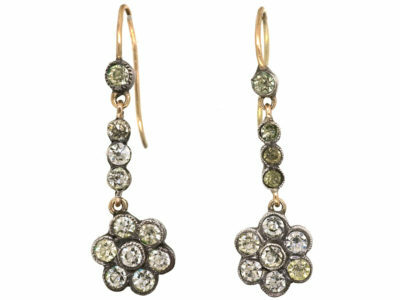 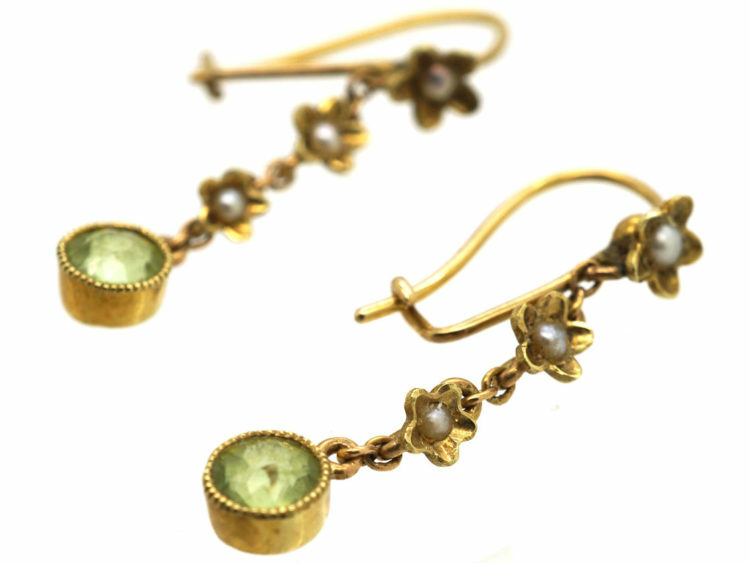 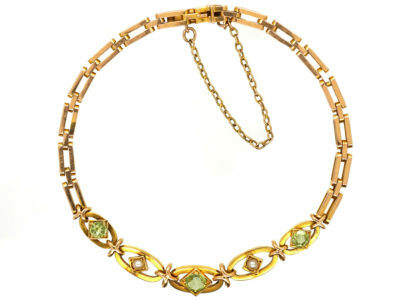 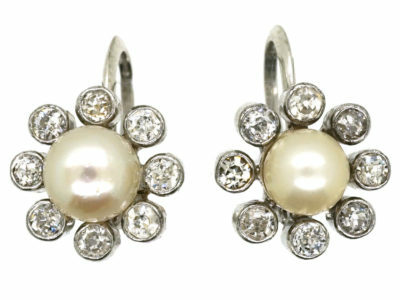 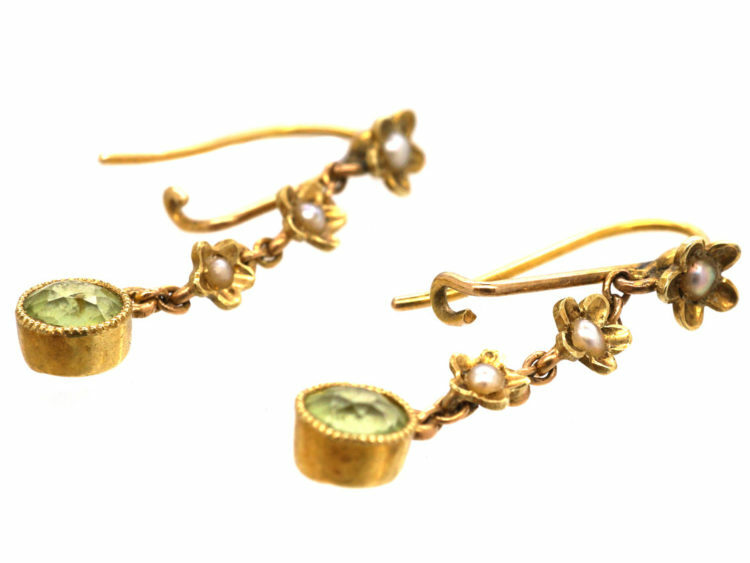 They have been set with a peridot in each one with three natural split pearls in flower settings above each peridot. 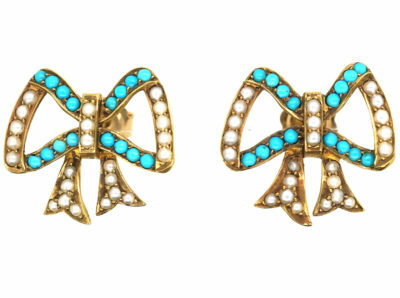 They are so delicate and pretty looking.